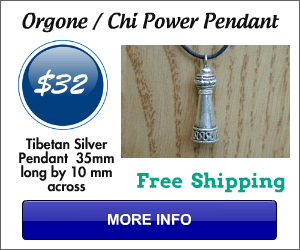 This orgone pendant enables the wearer to manifest (almost) anything the mind desires for it attracts the very life force energy of our existence. You do not need a red one for this and a green one for that or a pretty picture on the front to attract money or a heart to attract a loved one. This pendant attracts the energy we need by the very contents of this pendant; which excite and agitate the life force energy and attracts it to us to use in whichever way we require or want to manifest. Then it is up to us as the pendant only gives you the energy although it may be the most powerful energy available. No pendant, Talisman or any other object will do the job for you i.e. Good health, money, love etc etc. We have to play a part in this manifesting technique as our thoughts and beliefs create our reality. We are powerful beings capable of great things but we have forgotten most of our abilities, now as the time is quickening our abilities are returning with the use of energy tools to remember our ancient glorious past where all things were possible. Soon we will not need energy tools for our minds will be able to accomplish all things by thought alone. 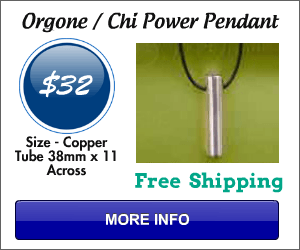 I have been Making, Developing and Designing Orgone Pendants, Wands and other Metaphysical Energy Tools since 2001 in the Retail and Wholesale Markets. Other equipment that I have used in this processes are PIP Photograph, Kirlian Photograph and Bioresonance Frequency testing. The thymus gland lies just beneath the upper part of the breastbone in the middle of the chest. It is present in all mammals, and is called the sweetbread in calves. Until the 1950s little was understood about the thymus, although there had been clues to its function for many years. As far back as 1902, Foulerton, a London physician, was using thymus extract in the treatment of cancer.